This Service Contract constitutes the entire Contract between It Takes 2 Photo Booths and client, and supersedes any prior understanding or representation of any kind preceding the date of this Contract. There are no other promises, conditions, understandings or other agreements, whether oral or written, relating to the subject matter of this Contract. There is a possibility of booth down time at your event in order to change necessary operating media (photo paper, toner, etc.) and is expected to take approximately 5-10 minutes. This time is figured into the total rental period and will not be credited to client. In the case of cancellation per client's written request on or prior to the final payment due date, client will be refunded any payments made, minus the non-refundable deposit. If services are cancelled after this date, no paid amount will be refunded. "Additional Booth Time" requested by client prior to the event in writing or email or at the event by request of the attendant, will be charged at the rate of $150 per hour (pro-rated--rounded up to the next half hour). Additional "Idle Time" will be added at the rate of $25/hour. Any and all add-ons chosen within this contract or in written or email form by the client will be added to the final payment and paid to It Takes 2 Photo Booths in accordance to the contract payment schedule. Booth location must also be in a room with no less than an 8' clearance. Minimum door width for booth access is 28". Placement of booth can only be on level, hard and smooth surfaces such as tile, hardwood, concrete, carpeted room, etc. Grass surface, uneven stone surfaces or bare dirt are not acceptable and client will be notified of the inadequate environment and given the opportunity to choose a more acceptable location for the booth. We require one 110/120-volt grounded power outlet within 15' of booth location. Each attendant(s) will be provided a full guest meal for events lasting 3 hours or more. If booth cannot be removed from the event at the conclusion of the contracted time client will be billed at the standard idle time rate of $25 per hour till the booth can be removed without affecting the event in a negative manner. It Takes 2 Photo Booths reserves the right to use any appropriate photos taken during the rental for advertising purposes including but not limited to website exposure, print ads, brochures and advertising media. 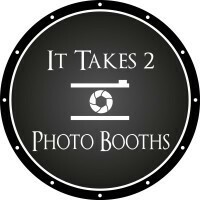 It Takes 2 Photo Booths will email a proof of your print design before your event. Please examine your proof carefully. 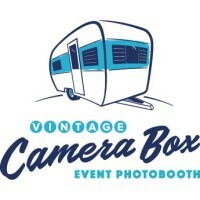 Once you approve the proof for your event It Takes 2 Photo Booths is not responsible for any errors. In the unlikely event of a total photographic failure or cancellation of this contract by either party or in any circumstance, the liability of one party to the other shall be limited to the total value of the contract. Neither party shall be liable for indirect or consequential loss. No Party shall be liable in damages or have the right to terminate this Agreement for any delay or default in performing hereunder if such delay or default is caused by conditions beyond its control including, but not limited to, acts of God (such as hurricanes, earthquakes, flooding), fire, Government restrictions (including the denial or cancellation of any export or other necessary license), wars, terrorist acts, insurrections and/or any other cause beyond the reasonable control of the Party whose performance is affected. Should Clients’ Event be cancelled, postponed or otherwise adversely impacted as a result of a force majeure event, there shall be no refunds for payments already received by It Takes 2 Photo Booths, but It Takes 2 Photo Booths will use all reasonable efforts to work with Clients to produce the Event at a later date if necessary, subject to It Takes 2 Photo Booths availability.